The inaugural World Cynosport Rally Championships event will take place at the SPIRE Institute in Geneva, Ohio. Join us June 16 through 19 at this fantastic site! 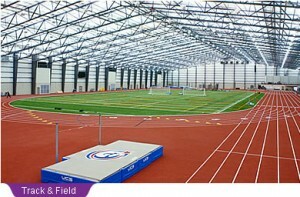 SPIRE Institute is one of the largest indoor, multi-sport, training and competition complexes in the world. With more than 750,000 sq. ft. under roof and acres of outdoor facilities, we have the unique capability to simultaneously host clubs, leagues, tournaments and championship events no matter the weather or the season. TitleMania will take place June 16 – 19, 2016. Times 9 a.m. to 5 p.m. 9 a.m. to 5 p.m.
9 a.m. to 5 p.m. 9 a.m. to 4 p.m.